If We Can Secure Our Money We Can Secure Our Children. Why Haven't They Thought Of That? What are you willing to pay for it?! F**k you, you dirty socialist! Oh, but we already pay for it. Everyday and every year. It's about using the tax money that we break our backs for, to protect our children instead of giving another raise to people in the Senate and Congress who think they're more important than your children. The US is hardly taxed at all really. The problem is the highest earner now pay the least in taxes. Every tax break we give away means less money for cities and towns. What do they do? Raise “fees” not taxes to cover the loss. My own company does it too. They “repatriated” finds when they bought my privately own company. That’s code for hiding money from you and me to inflate their stock value. But it gets better! They gave an army of propagandist to convince us that any change to the system that actually is fair is some sort of doomsday to the economy. Just read a few of the moronic memes attacking democratic socialists. That’s purposeful as they are scared that they might actually have to pay their fair share again. I am ALWAYS amazed that anyone would vote for someone telling them they're going to give the rich tax breaks and raise the low income folks taxes so the rich will stay here and pay employees a living wage. They never do trickle down. It has to be the same mentality as an abused child. 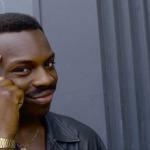 Told to choose between the good parent and the bad parent they'll choose the bad parent because they're afraid not to. Yeah, rocks probably wouldn't work as well today. You can't throw them with a keyboard or joystick. 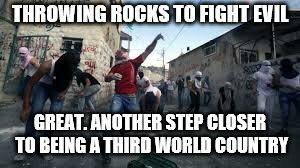 When I was a kid, we would have clobbered the shooter - lots of rock-throwing practice IRL. We had a different life than these kids do though. I lived in a wicked small town back in jr. high. There were less than 15 seniors in the entire L-shaped building that held pre-schoolers up to seniors. Wicked small town. 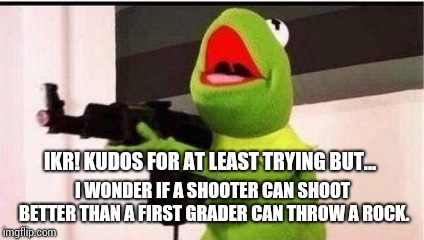 We actually had a kid shoot and kill our principal first thing on a Monday morning in '77. Shooter left immediately after one fatal shot. Everyone was in shock and it took an hour before we even knew what happened because they locked us in a room and left. It happened so fast we didn't even have a chance to react. These kids go in to mega schools with thousands of kids, teachers, administrators and staff, prepared to stay and take out as many as possible before they die. This is tactical warfare carried out by confused and disillusioned children. Sorry. The older I get the more I realize how little we understood about consequences that last a lifetime in our teens. Back then a lifetime was four years long. I feel bad for these kids. They haven't been given any basic survival skills. The silver lining? Since kids don't move out before they're thirty these days... parents have to live longer. They may very well evolve the whole species into eternal youth! Awwhahaha!! In my state every school has an on duty police officer and 3 shootings still occurred last year. Very odd. My boys schools had fences, police, metal detectors, no lockers, no lunch room and no shootings. I lived in a teeny tiny town in Texas and my principal was shot and killed outside the front doors to the school. If someone wanted in I think they'd find a way. Sorry for calling you names. I apoligize. Again im sorry. We All do it. I do it too. No need to apologise. Its time everyone realizes this is just stress relief. We don't truly mean it when we're ugly online. Just no way to express all the stress these days. Don't take it personally if someone online says ugly words. They're frustrated. Your frustrated. We're all going through some serious stuff. It's all good. No harm done. Sorry I was ugly too. Sometimes online arguing teaches us a little something about ourselves too. Watch for that stuff... it's amazing when you catch yourself growing as a person. Live and light my friend. BANKS HAVE BULLETPROOF SECURITY WINDOWS AND DOORS THAT CLOSE INSTANTLY AT THE TOUCH OF A BUTTON. WHY NOT USE THAT TECHNOLOGY IN ALL THE SCHOOLS? ACTIVE SHOOTER ENTERS AND EVERY ROOM IS A LOCKDOWN SAFETY ZONE. 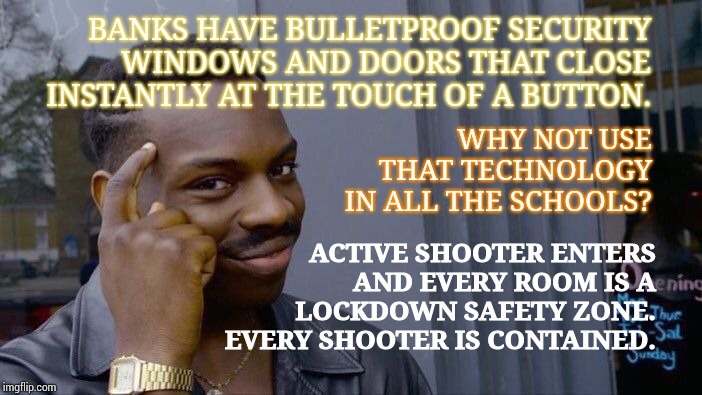 EVERY SHOOTER IS CONTAINED.